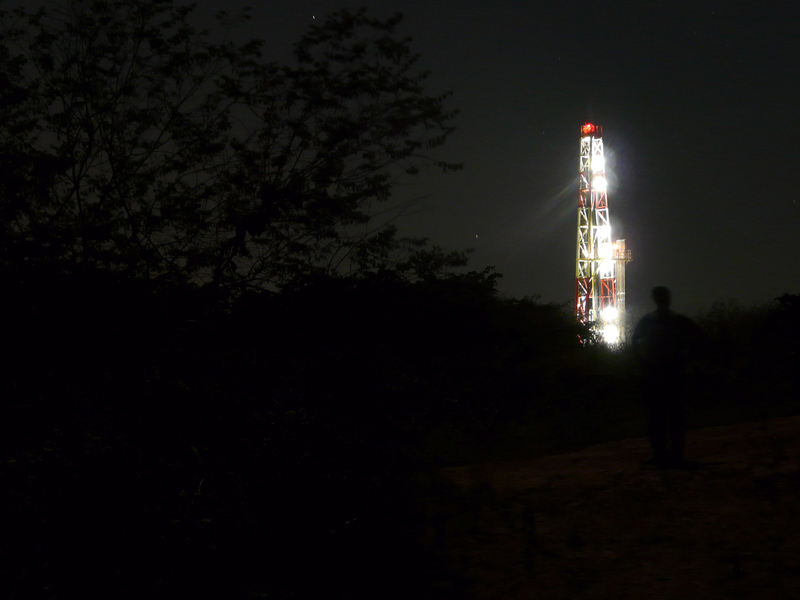 10-second exposure of me and a drilling rig. This is how some of us spend our vacations. There are rig owners that have declined to discuss with PDVSA the rates for services and have preferred to keep their equipment locked up for a year in Anaco, in Anzoategui state. This is the case specifically of the company Helmerich & Payne, a U.S. transnational firm. That’s why an eminent domain declaration over them is being requested at the National Assembly, to thus assume control. We won’t allow them to sabotage our operations as they did at the end of 2002. Our dispute with PDVSA has never been very complicated and our position has remained clear: We simply wanted to be paid for work already performed. We stated repeatedly we wanted to return to work, just not for free. We are surprised by yesterday’s announcement only because we have been in ongoing efforts in a good faith attempt to accommodate a win-win resolution, including a willingness to sell rigs. We have worked in Venezuela for 52 years and wanted to continue under reasonable conditions. At the same time, Helmerich & Payne has reduced its number of rigs in Venezuela in half since 1998. At that point, almost 30% of our land rigs were in that country, as compared to under 5% of our land rigs today. This entry was posted in Uncategorized on June 24, 2010 by Steven Bodzin. Planta Centro, the biggest fossil-fueled power plant in South America, didn’t produce any electricity on Tuesday, according to a daily report (Link only good for 3 months) from the grid administrator. The cause was something called a “hot point,” according to El Universal (hat tip to the excellent Venezuela energy newsletter Petrofinanzas). Plants come up, plants go down, and this plant was never able to fulfill anything like its nameplate capacity, so it’s not the worst thing in the world if it’s out of commission for a spell. But it’s depressing to note that on the bicentennial, April 19, the government touted so loudly that Planta Centro had been fixed. There were fireworks. I am still out of commission while giving away, selling or throwing out most of my possessions and finding a way of getting the remains (which amounts to, more or less, an elementary school report card and my map collection) across several South American borders, away from the silverfish that have already devoured much of my Ontario health insurance card and the rules to a sci-fi-shoot-em-up game I have no memory of inventing at age 12. Thank you very much for your patience and thanks for continuing to visit. 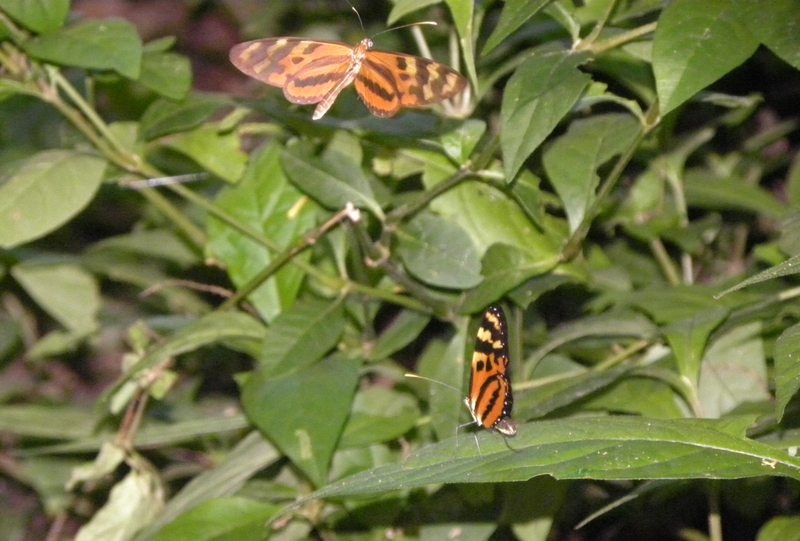 As a special thank-you, an update on the most controversial topic ever covered on this website (as measured by number of comments, anyway): butterflies. This entry was posted in Uncategorized on June 22, 2010 by Steven Bodzin. 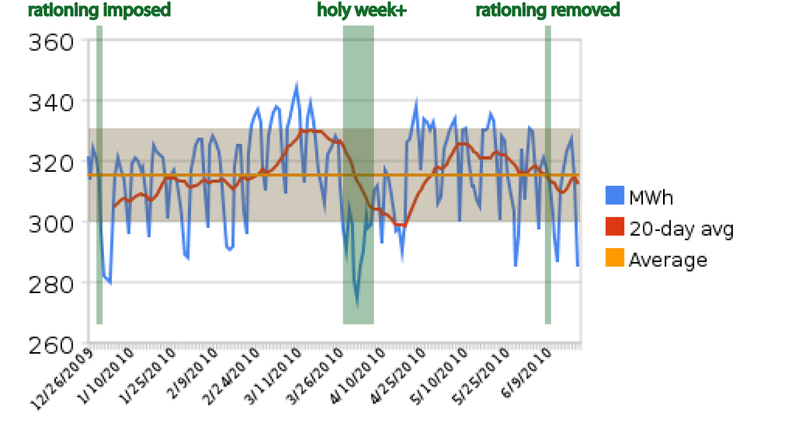 It’s been a couple weeks since the Venezuelan government eliminated electricity rationing, but there is no change in the country’s daily electricity consumption. I said at the time that rationing didn’t do anything to reduce energy consumption, and I stick with it. That said, you can see from here that there was one conservation measure that worked. The chart shows daily electricity consumption from the Centro Nacional de Gestion, which runs the power grid. The yellow line with a brownish shaded area is the overall average for the period and one standard deviation. I think the conclusions are pretty clear — you want to save energy, send everyone home from work. You can see that people didn’t just take one week off, either, but two. It will be interesting to see if this cuts second-quarter GDP. Real-time air-monitoring data from PDVSA’s Isla refinery now available online. Hat tip to Curacao daily paper Amigoe. Isla refinery monitor: Particulates PPM. Just look at all that FIJNSTOF (fine stuff=particulates!) going into your lungs.. This entry was posted in Uncategorized on June 17, 2010 by Steven Bodzin. This entry was posted in Uncategorized on June 15, 2010 by Steven Bodzin. Will PDVSA take over Valero’s Aruba refinery? It would fit PDVSA’s strategies of buying refineries cheap, moving away from dependence on the U.S. market, and producing more value-added products. However it’s hard to believe they’d be allowed in given the maintenance and environmental record at Isla on Cuaracao, and it would be hard to pay for the refinery unless Valero wanted to just give it up very cheap. Anyway pretty interesting that the papers are making it sound like a done deal. Meanwhile President Hugo Chavez calls for renaming Petroleos de Venezuela SA. New name would be Petroleos de Venezuela Socialista. This would fit the company’s strategy of spending money on political symbolism to make Venezuela the vanguard of world communist revolution.